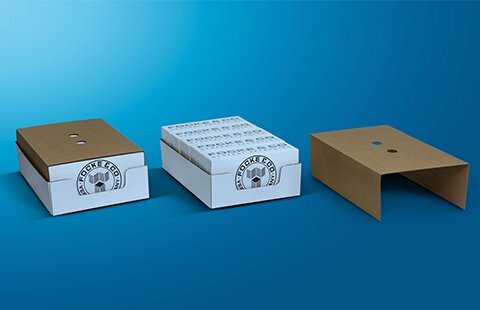 » Wrap Around Packer » FOCKE & CO. 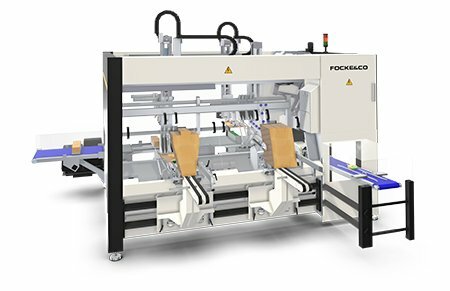 The FOCKE Highly Modular Packer | HMP, combines different versions for tray, wrap around or tray with lid on one platform. 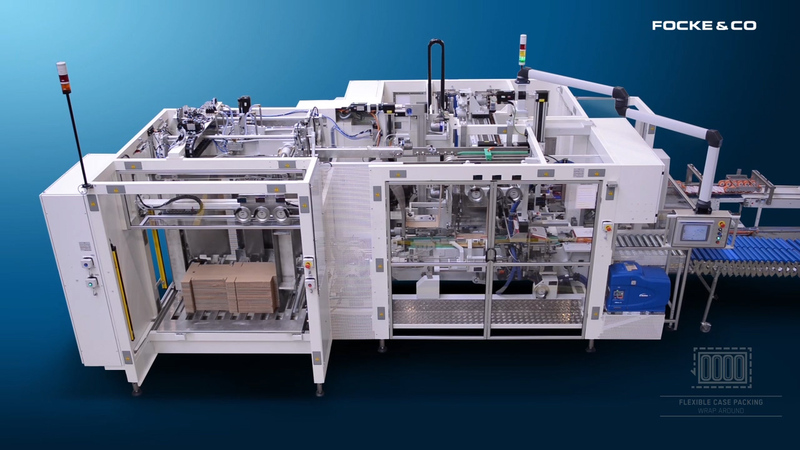 Designed for high speed applications, this compact equipment combines case erecting, collating, filling and closing on a space-saving footprint. 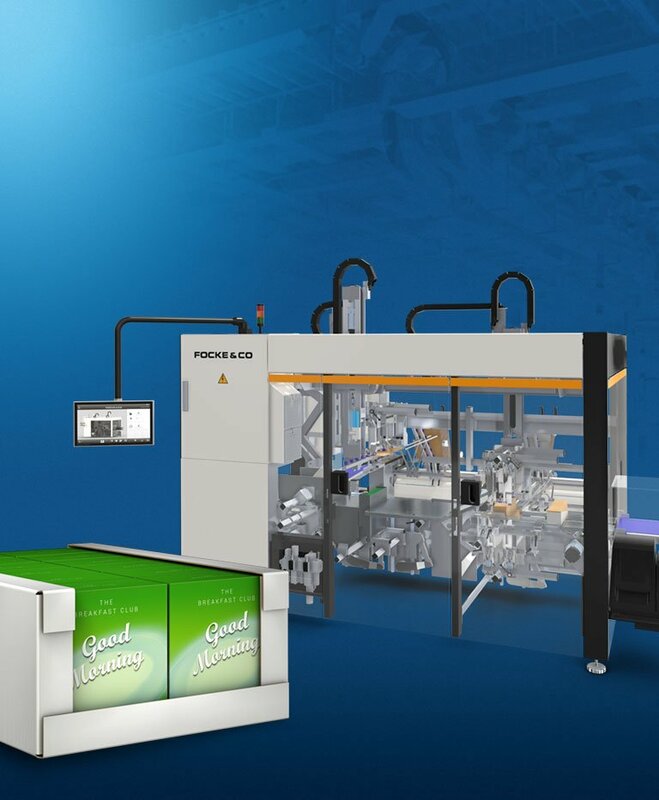 Clean design of the machine avoids dirt settlings and allows easy cleaning, e. g. reduced horizontal surfaces prevent accumulation of dust and product residuals. 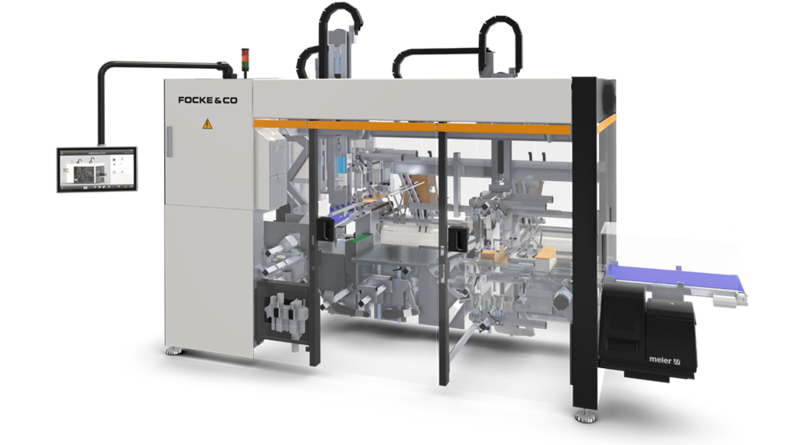 Simple and ergonomic to operate within the production plant, the FOCKE HMP is your reliable partner in case packing. 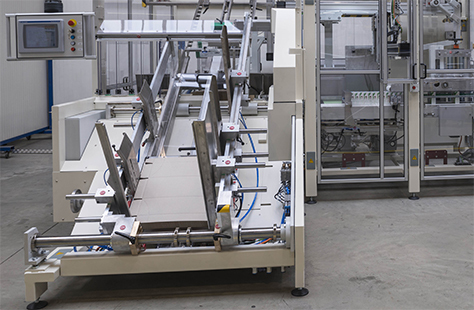 The modular design of the wrap around and tray packer combines different versions for trays, wrap arounds or trays with lids on one platform. 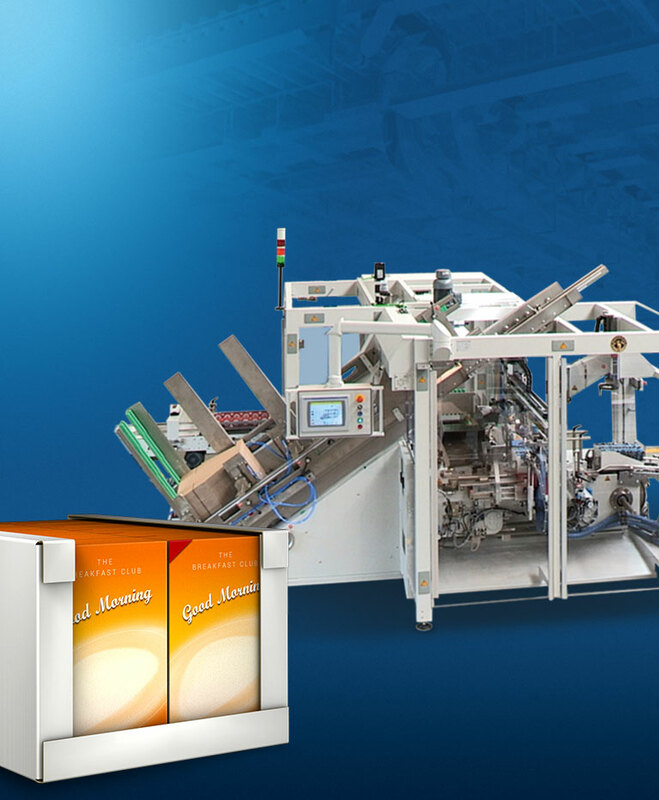 This compact equipment combines case erecting, collating, filling and sealing in one machine. 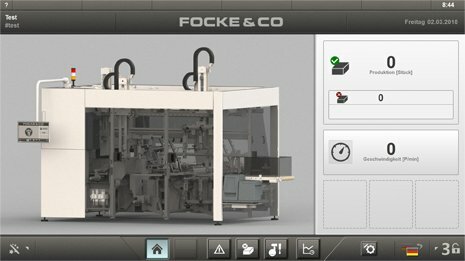 FOCKE VISU 3000 for intuitive operator guidance: The on-screen help, integrated machine documentation, as well as the operator panel with 21 inch touch monitor support the operator in his tasks and enable him to quickly solve any issues. 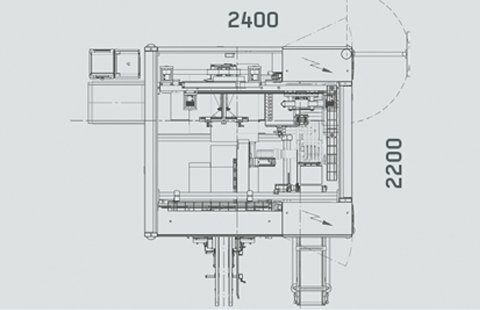 Ideal for shelf ready concepts: Different case types such as tray or wrap around can be handled on one machine. Speed of up to 35 cases per minute (depending on product and case). 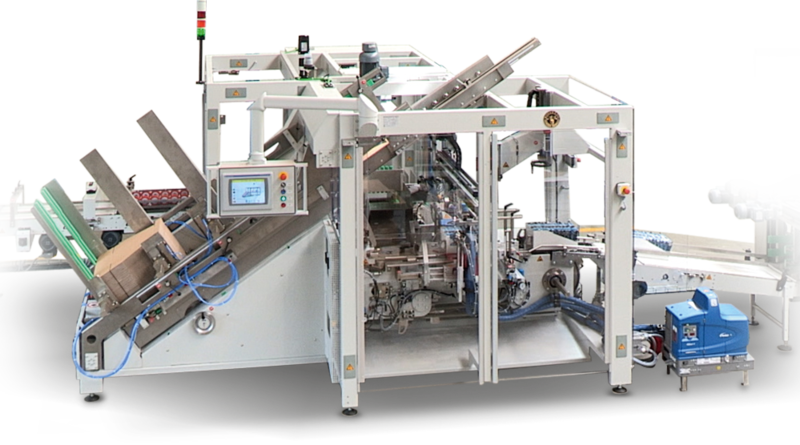 Easy and ergonomic machine cleaning. 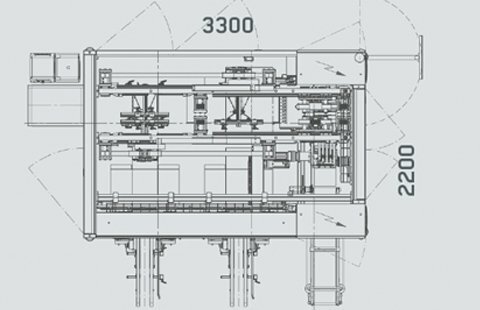 FOCKE VISU 3000 for intuitive operator guidance. 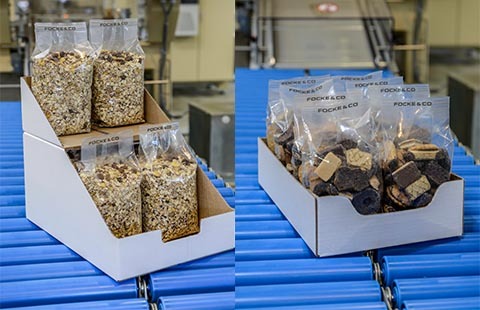 Different packaging styles (wrap around or tray / lid). 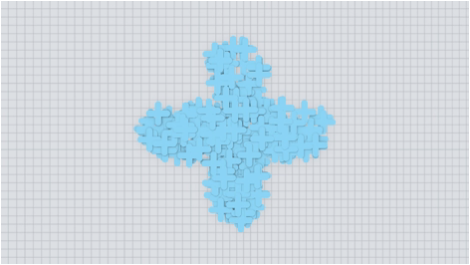 Customized infeed and grouping systems. 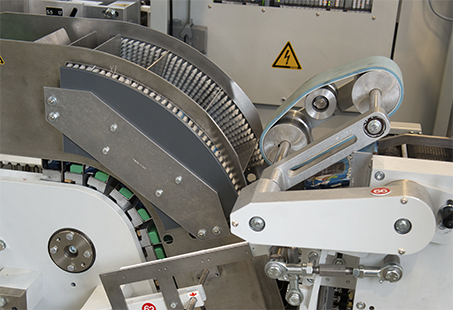 Easy & ergonomic operation – Less change parts , e.g. adjustable case blank magazine. 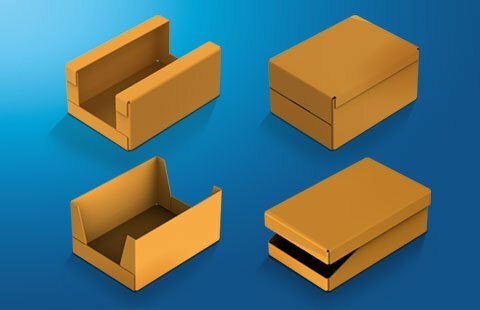 Various case styles (wrap around or tray / lid) ideal for shelf ready product presentation. 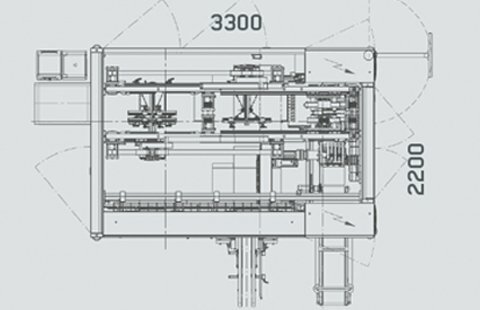 Speed of up to 30 cases per minute (depending on product and case). The adjustable case blank magazine allows high flexibility. 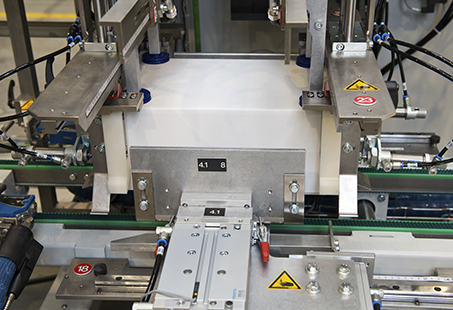 Secure product filling and sealing. 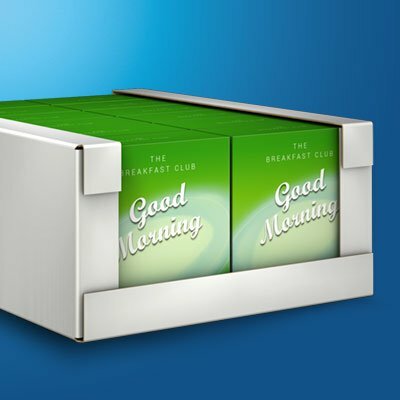 Time-saving case handling and optimum product presentation at the point of sale. 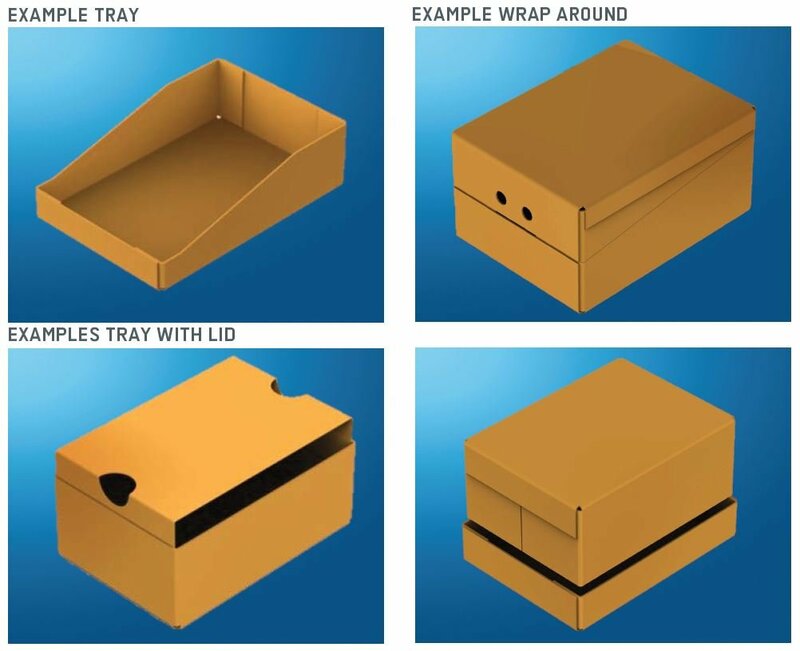 Different packaging styles (wrap around or tray/with lid). 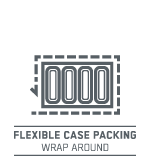 Various infeed and grouping systems. 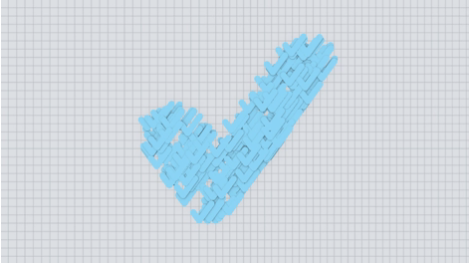 Various infeed and grouping systems: Example with a pocket chain for non stackable products. 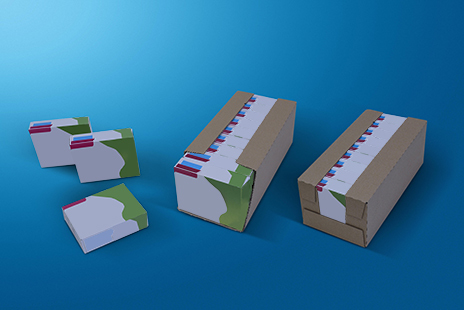 Different packaging styles: Example for a wrap around case, where the case blank is folded and sealed around the grouped products. 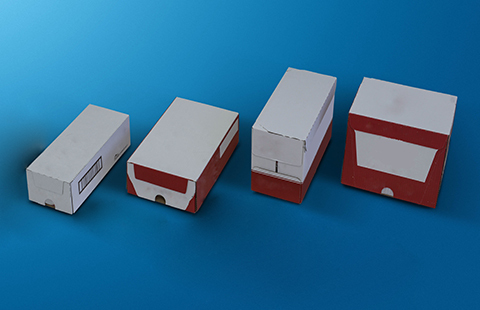 Examples for Shelf Ready Packaging: optimized presentation at the point of sale. 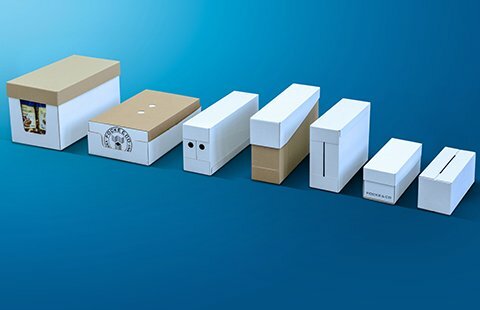 Application example for different sizes and case styles of wrap around packaging. 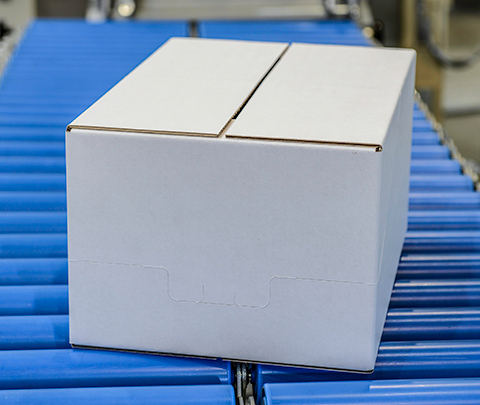 To protect products packed in tray for transport, completion by lid applicator is possible.